More than two years since the Government of Bahrain’s brutal crackdown on pro-democracy protesters in the country, arbitrary arrests, injuries to protesters and politically motivated prison sentences continue. 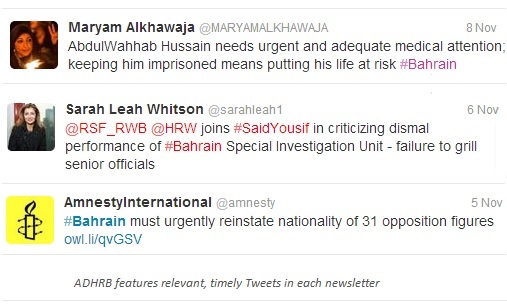 Numerous Bahrainis remain behind bars today, including more than a dozen prisoners of conscience. 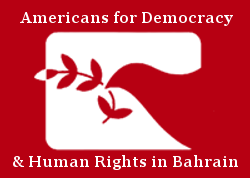 With these injustices firmly in mind, Americans for Democracy and Human Rights in Bahrain (ADHRB) announces the launch of a new campaign: Champions for Justice: Bahrain’s Prisoners of Conscience. This campaign aims to raise awareness of those in political detention, as well as the broader problem of ongoing human rights violations—and impunity—that continues to be perpetrated by the Government of Bahrain. Each month, ADHRB will focus on one human rights advocate currently imprisoned in Bahrain. 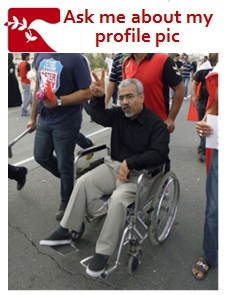 The first prisoner to be featured in ADHRB’s campaign is Dr. Abduljalil al-Singace, a mechanical engineer, prominent blogger, and human rights activist who has promoted human rights as a member and leader of multiple political societies, including Al-Wefaq and the Haq Movement for Liberty and Democracy. Dr. Singace was arrested in 2011 for his participation in the peaceful protest movement. During his initial detention, Dr. Singace was confined to a 1 x 3 meter cell and subjected to torture and ill-treatment, including forced standing, verbal and sexual assault, beatings, and prolonged solitary confinement. He was tried in the National Safety Court in June 2011 and sentenced to life in prison for allegedly plotting to topple the government. On January 7, 2013, the case went to the Court of Cassation, where his life sentence was again upheld. Dr. Singace continues to be denied family visits and medical attention, despite the recent deterioration of his health. During the month of November, ADHRB is asking all defenders of human rights to take part in highlighting Dr. Singace as a Champion for Justice by tweeting about him under the hashtag #BahrainPrisoner and changing their Facebook profile picture to the picture attached here (also available on our website). In the second half of the month, we ask that you write to your Member of Congress about Dr. Singace. Details, including template letters, will also be available on our website: www.adhrb.org.